Information Technology is used across the world daily for a large variety of applications. Over the years, information technology has evolved greatly bringing with it so many new devices available to use. 2016 is set to become a groundbreaking year for information technology with the release of some amazing and upcoming technology solutions that are anticipated by the world. Here’s a rundown on what’s set to explode onto the scene in the technology world this year. Gain more profit from this technology in the coming years. Improve overall productivity of an operation. Streamline the network operations of the industry for increased system performance. The way this technology works is the hardware and software is integrated into the end user. Data is sent between devices as the second network protocols wrap data into it while the first network protocol headers are removed. Gain access to people, government, social communities and businesses across many different devices. The device mesh trend will enable for all different devices to cooperate and interact with one another in a much easier way. This will increase productivity tenfold for many people right around the world. The sale of over 111 million devices right around the world in the coming year. This is much higher than last years’ prediction of 80 million units being shipped out throughout 2015. Some of the highly anticipated wearables which are popular this year includes smartwatches, Google Glass, and fitness trackers. On top of this trend, there’s whispers of new mobile app developments for these devices. Analyse the data and predict the cyber-criminal’s next move. Help to keep important information safe and from falling into the wrong hands. Create a stronger and more powerful company with intensive security solutions in place. This new advancement in the war against online cyber attacks is becoming very popular with more and more people incorporating them into their business setup. The potential for headsets to be used in design work, engineering, training, construction and communications. The ability to see the world in a brand new way like never before. The ability to offer a new entertainment solution for tech savvy individuals. Pushes the human race further along the evolutionary technology trail. Overall businesses are said to be a major winner with the release of these devices. Another big contender in this industry trend is said to be the upcoming Microsoft HoloLens. With the increase in new technology advancements, it’s no wonder new trends are coming out every year. Once these trends take flight it’ll be very interesting to see what will be coming in the new year. 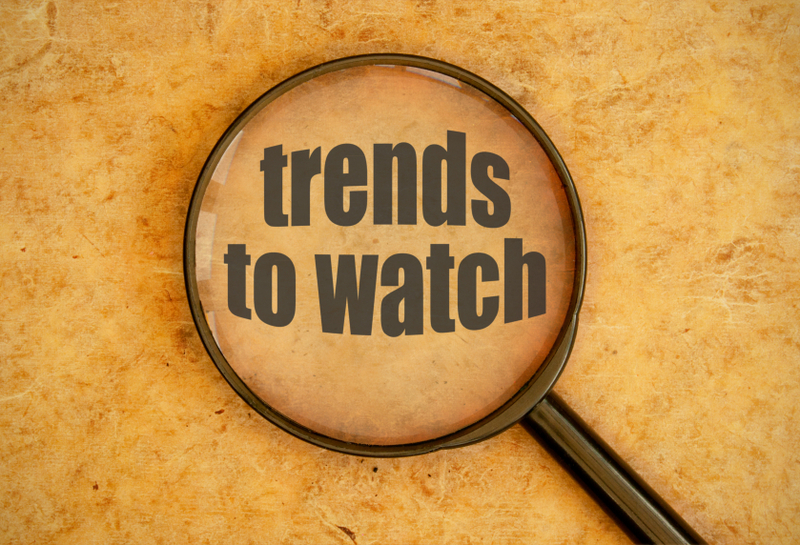 Do any of these trends excite you? Caroline Kastner loves everything that has to do with technology. She enjoys the search for upcoming technologies and loves to share them with the world. She has contributed to Equustek Solutions Inc. in the past. She is passionate about being healthy, and enjoys walking along the beach with her son and dog.